ISLAMABAD: At least three people were killed and 10 others were injured Wednesday when a powerful explosion hit an an imambargah in Islamabad, police and hospital officials said. 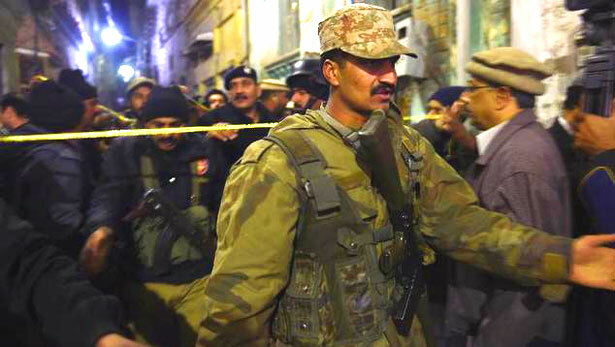 The explosion took place near Imambargah Qasr-e-Sakina in New Shakrial area, which connects Rawalpindi to Islamabad. The blast was followed by sounds of gunfire. Initial police reports suggested that a suspected suicide bomber tried to blow himself up when security guards opened fire on the attacker, wounding him. A spokesperson for the PIMS hospital confirmed that two injured had succumbed to their wounds on their way to the hospital, while the injured were being treated. The injured were being still taken to the District Headquarters Hospital in Rawalpindi and the PIMS hospital in Islamabad.